Bluefin Announces "Mike Tyson 'The Tattoo' Figure"
Sometimes, with a creative endeavour, the fun had by those who were working on it permeates the piece, and lifts it all to another plane entirely. That seems to be what happened with Super Sons #1. Each and every page is a sheer delight. The story opens with some teaser scenes, showing the reader where the first storyline will be going. These are fully entertaining on their own, and far enough away from the main action of the piece to leave wondering pondering how the tale will get there from here. And after reading the entire issue, there is no doubt that the journey will be a really enjoyable one. Tomasi excels at the dialogue and characterization of the two boys, Jon Kent and Damian Wayne, whose team-ups will comprise the series. 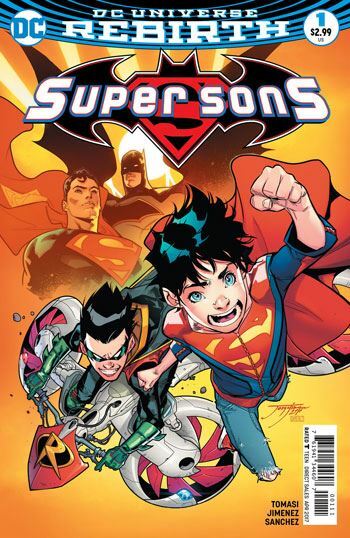 Superboy may be the more powerful of the duo, but Robin is as obsessive and skilled as his father, and more than a match for the boy of almost-steel. In fact, Tomasi writes this with such a confident hand that it really doesn’t matter than not very much happens in this debut issue. The boys deal with schoolyard bullies, and we get to see the hugely different relationships that they have with their fathers. Only in the last few pages does the action really get going. But every scene is perfectly done, and much of it is very funny. The humour helps set off the occasional serious moments very well. 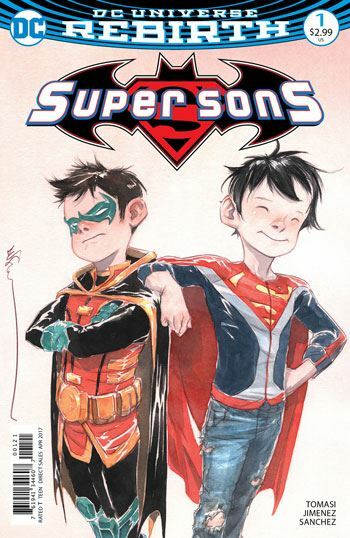 Most of these deal with Robin, as Superboy is slowly getting to learn just how severe and extreme Damian’s childhood was. The fate of his geography teacher being a perfect example of this. The art is also top drawer on this. The two really look like boys, not like overmuscled adolescents. Have we ever seen a Superboy this scrawny before? I was a bit surprised to see Lois and Clark teaching their son poker, but I suppose a level of deception is a skill that a young super powered child needs to acquire. This is definitely a book that needs to be added to anyone’s reading list.